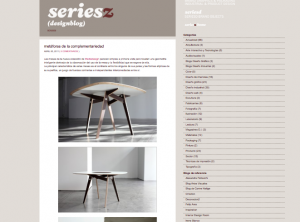 Another interesting blog from Barcelona is looking at mediodesign’s collection with good eyes. They like Juan Pablo Quintero approach and have somehow summarized the key features of the collection. “Metáforas de la complementaridad” a rather complicated sentence, but still attractive for the people at SerieZ. Here we are, the new year has arrived! This year at Cologne! Quite exciting and a lot of work to do yet. Photo sessions still going in Barcelona, dtp layout and print in stand-by for the final draft (with new pictures! ), and a lot of small things. At least, it seems that the collection that Mediodesign is going to show, as proposed last december, is ready and being prepared for shipping. Wow! A nice thing about Arré is that it brings together different designers with different background and approaches to one place. Mediodesign’s Maria Teresa León started looking at Blue Chains website and came across a known name: Oriol Tarridas! 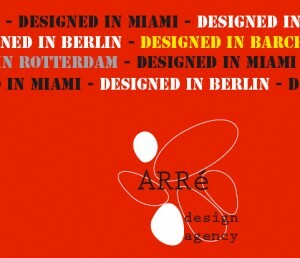 Tarridas made the pictures of Blue Chains Design collection, and he is a good friend of Mediodesign’s team in Barcelona. That sort of coincidence gives a good feeling about what we are doing. Now we still have to come to business with Azul Cadenas and Blue Chains Design. We will get it! Going to IMM Cologne not only means being there with the furniture pieces. There is a whole set of things that come along. Among them, a good set of photos and a good printed material to hand off during the fair. As everything is this period, we have to tilt our usual business to a higher level. The old pictures, made with the best intention and at the best capacity, can be redone with a better quality. That’s why we are hiring a great photographer from Barcelona, which is close to Mediodesign and whose professional work has been all over the place in recent years. We are talking about Lucia Carretero, whose assigment for us is to make fantastic pictures of the pieces that go to IMM Cologne. With these pictures we are preparing a folder, a set of postcards and a catalog. Lucia is working together with Maria Teresa León at a beautiful location in Barcelona, trying to get the most out of the new collection and most of all, trying to get the best out of the mediterranean winter light. Go girls!